Grand Avenue Produce only sells the finest products. We offer a wide range of fresh fruits and vegetables to restaurants, hospitals, schools and other institutions. Our products can be purchased in bulk or in smaller quantities depending your individual needs. Grand Avenue sales consultants will work with you to establish a custom produce buying program to best fit your business. You can rest assured knowing that our team members possess a wealth of knowledge and experience in food service. Call us today to discuss your needs and let them put their expertise to work for you. We buy direct from growers! high quality and food safety standards. 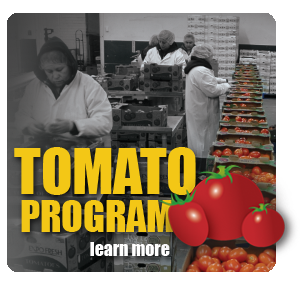 We have the best Tomato Program in the southwest. our produce is 3rd Party Inspected. 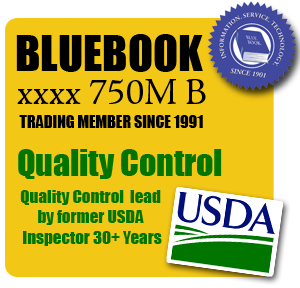 We are “Full Recall” capable and provide traceability. Our produce is used by a wide variety of brokers. You may already be using our fine produce!